Emerging Colorspace from Sonice Development « Adafruit Industries – Makers, hackers, artists, designers and engineers! 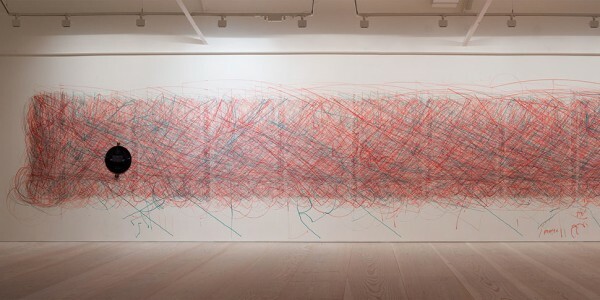 Emerging Colorspace is a robotic drawing installation. 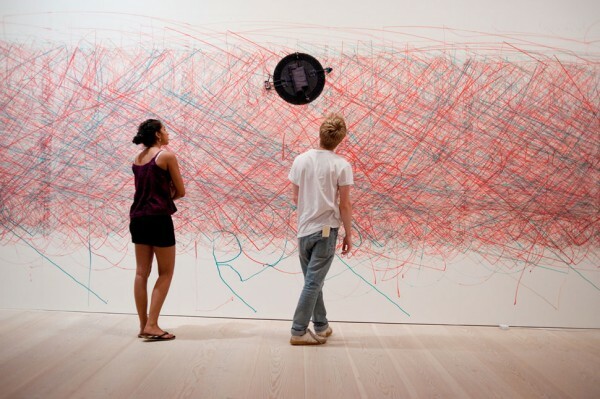 A machine with the ability to move on vertical surfaces autonomously applies paint to the wall using a marker. Thousands of lines painted with different colors form an increasingly dense colorspace that emerges during the more than 200 exhibiton hours. The wandering behaviour of the machine follows simple algorithmic rules with random elements. Emerging Colorspace is constantly changing and will never look the same on two different days.